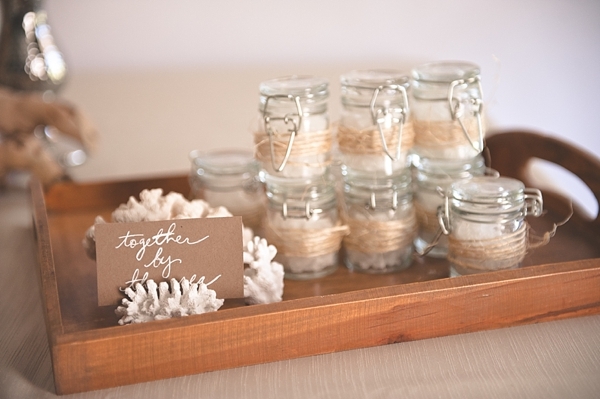 She sells seashells by the seashore. 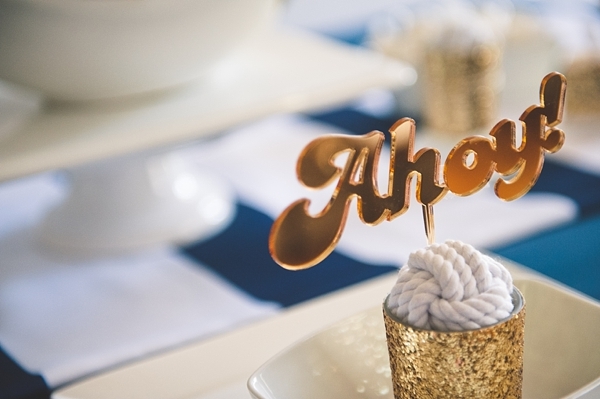 We sure do love the beach and all things nautical around here! 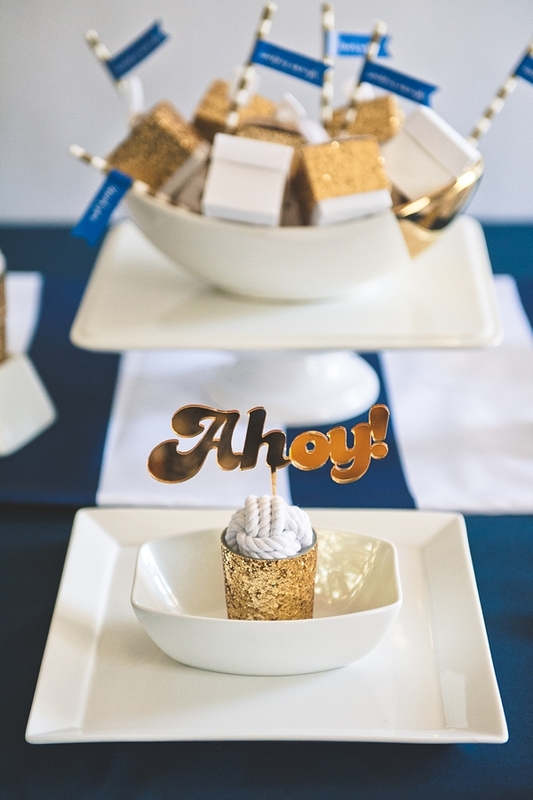 With the sands of Virginia Beach and the nautical history of Newport News, we locals know that these two genres are different and unique in their own ways, so we have styled two tablescapes to inspire your wedding, rehearsal dinner, bridal shower, or any wedding-related event! 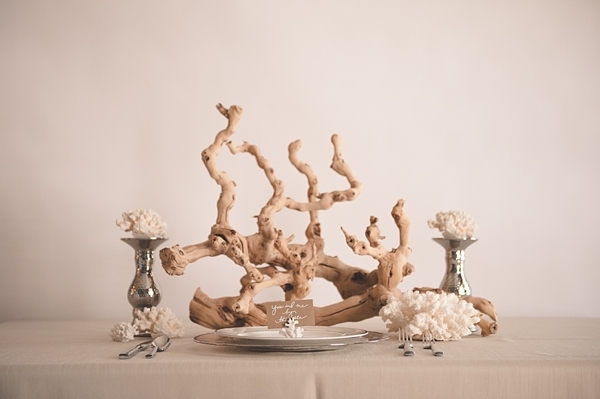 Freeform and natural, this neutral-colored tablescape incorporates the more organic shapes of the beach. 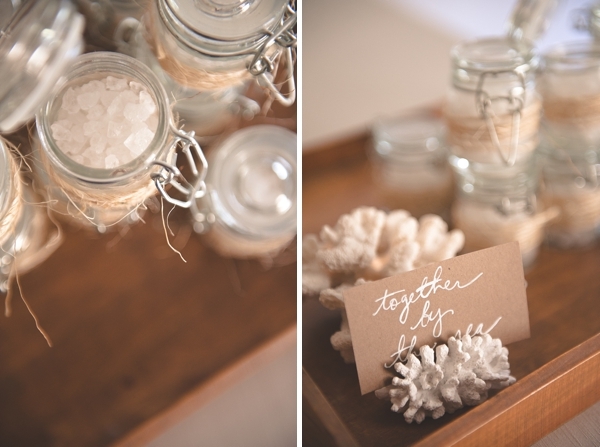 With Kate Aspen's mini-glass jars, we personalized them with yummy rock candy nuggets and rough jute twine. 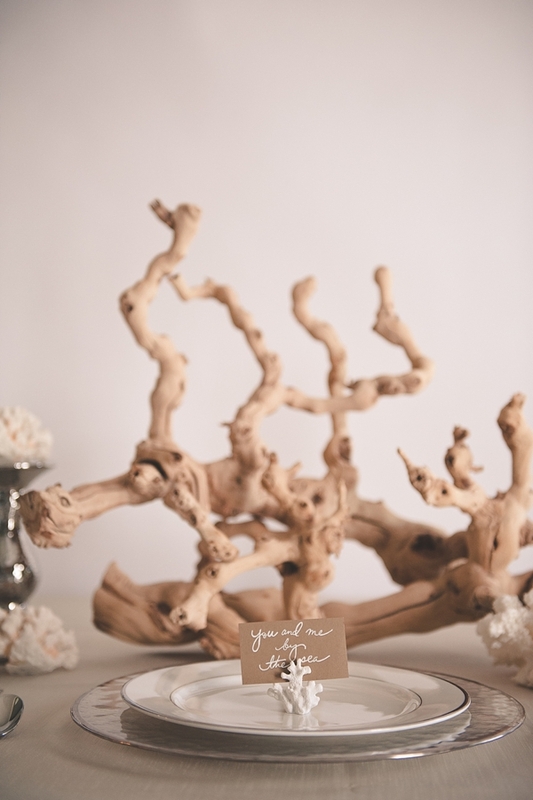 Doubling as place card holders and tablescape decor, the white coral place card holders are nestled perfectly against the spindly driftwood centerpiece! 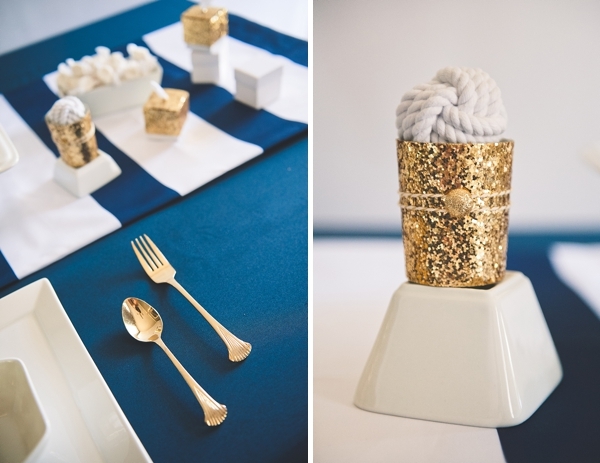 With golden accents, this modern and fun nautical tablescape is perfectly detailed with Kate Aspen's gold glitter-topped favor boxes, monkey knot favors, and glittery votive holders against the navy blue linens. 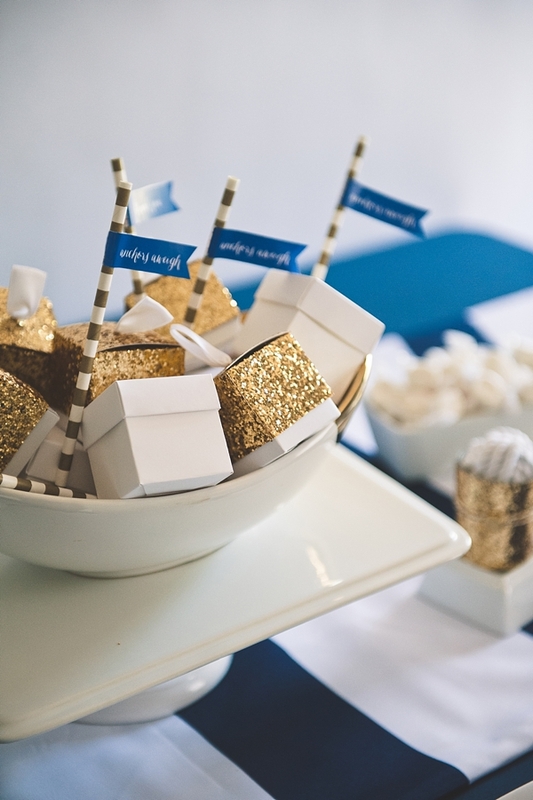 Add a touch of fun with the navy blue flags on striped straws... and it's ahoy indeed! Now for our giveaway! You can enter to win the $100 Kate Aspen gift card by following Kate Aspen on Facebook, Twitter, Pinterest, or leaving a comment here on this blog post. The giveaway ends next Thursday, July 17, 2014, and the winner will be announced on our Facebook page on Friday, July 18th. The winner will be contacted by Nicole at Kate Aspen, and yay! winning shopping trip at your fingertips!